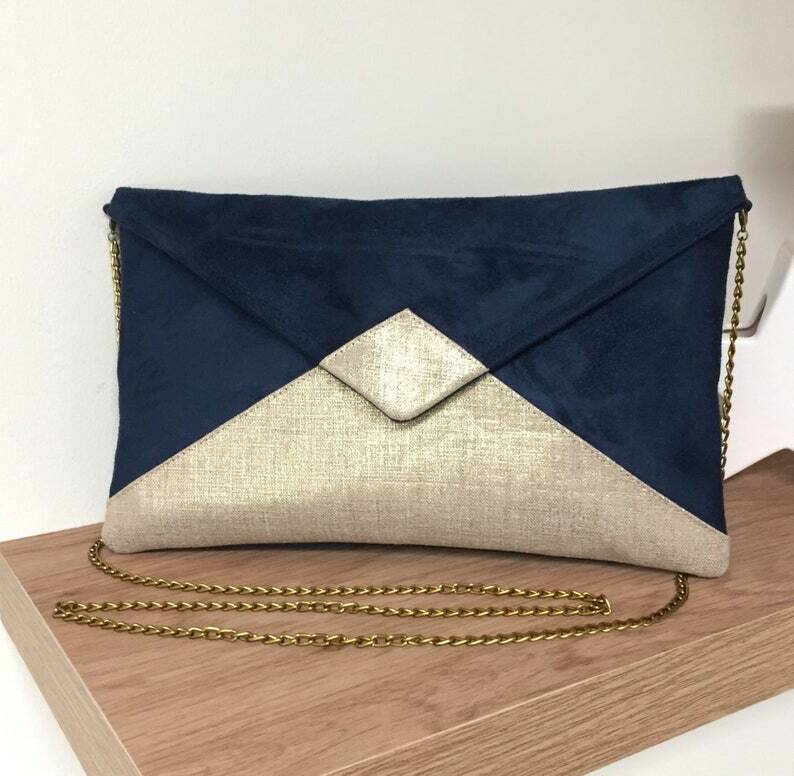 Evening clutch, Small handbag, Customizable shoulder bag, wedding clutch made in a beautiful navy blue suede with a very velvety feel, with a front panel panel in real iridescent gold linen. This envelope-shaped bag is decorated with a strip ofiridescent golden linen at the forefront of the flap. The closure of the flap is magnetic with a gold-colored button. The small bag is also lined with a cotton printed fabric.